EASTERN CATHOLIC CHURCHES This Wikipedia article is about Eastern churches in full communion with the Catholic Church. ORIENTAL LUMEN CONFERENCES a forum for Christians to learn about the "light from the east." 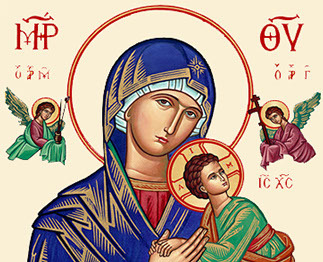 THEOTOKOS INSTITUTE FOR CATHOLIC STUDIES is an academic institute dedicated to the study and teaching of theology, especially as it proceeds from the centuries prior to the formal division of the Church into Greek East and Latin West, but equally as it applies to our contemporary world. EAST TO WEST A website dedicated to highlighting the similarities that are found in the western and the eastern churches. INSTRUCTION FOR APPLYING THE LITURGICAL PRESCRIPTIONS OF THE CANONS OF THE EASTERN CHURCHES Issued on January 6, 1996, by the Congregation for the Eastern Churches. THE CATHOLIC ENCYCLOPEDIA One of the biggest Catholic resources on the Internet, containing more than 10000 articles. PROSOPON SCHOOL OF ICONOLOGY Introduces students to the practice and theory of the ancient Christian art of Byzantine icon writing.